The maestro, Leoanardo Da Vinci, illuminates the beauty of simplicity in art and graphic design through such brilliant words. This is the magnificence of inspirational quotes, providing us stimulation and motivation to achieve what others have accomplished. It supports our reasoning and gives us an encouragement to do what we believe in. As graphic designers, we thrive to seek inspiration and what better way is to learn from words of wisdom. Reading design quotes from prominent figures of the industry ignites the creativity of graphic designers and gives them the motivation they need. But it gets even exciting to read when words transform into attractive visual graphics. After all “A picture is worth a thousand words”. So today I’ve amassed a collection of 20 beautifully visualized design quotes that will motivate graphic designers to spark new ideas and designs. You don’t want to imitate? 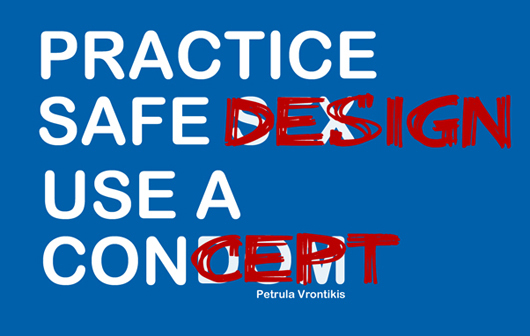 I can’t tell you how much respect I have for designers — as a writer, I design with words. Graphic depictions are way beyond my skill set! So I love love LOVE these quotes. Especially the “I want to shoot them in the face” quote. Love these! Thank you for sharing them! definitely liked reading these. I also liked the designs of the quote cards. Thanks! I love these!! Thanks for posting!! These are great. I especially love that first one. Thanks for posting! Love this! GREAT post. Inspiring. I may just go create now! Thanks. I love the piece that labels the negative space. I laughed out loud when I saw that…and someone walking past my desk looked at me like I was crazy. For a second I thought I might just show her what I was laughing at but then I realized she wouldn’t get it…she isn’t a designer. Very nice!! thank you for sharing. Wow! These are really cool! Now you totally inspired me to write these and post them on the girl’s bathroom doors! 😀 Thanks! As a journalist, I am always looking for news ways to tell a story. So this post was very relevant to me. My favorite is about deepening the mystery. Love it! Congrats on being freshly pressed. I’m a quote-a-holic and I just got my fix. Designer, artists, creatives – amaze me. My favorite? 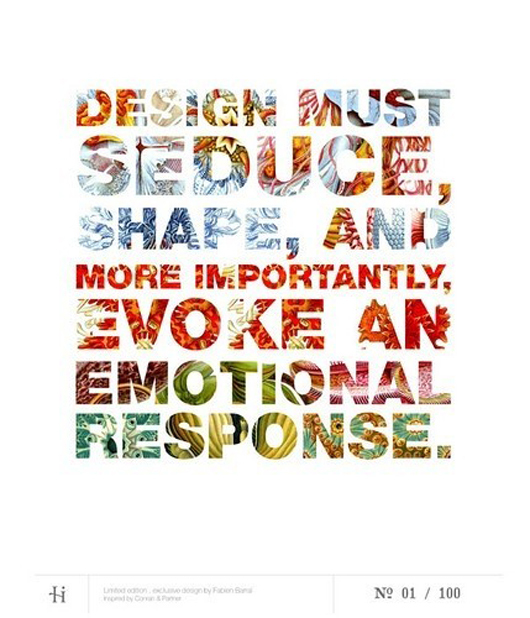 Design must seduce, shape, and more importantly, evoke and emotional response. Fantastic choices here. All are thought-provoking and true. The whole “motivation” movement is a pathetic and shallow ruse. My favorite: design is intelligence made visible. Love it! I did not know that one. These were just a joy! Thank you so much. My quote list will become much longer. Made my day. Don Draper said it best ‘ We’re creative. The least important, most important thing there is.” Loved this post, thanks for sharing. This is both amusing, and inspiring. I love design and art. Hahahaha–“Good design is all about making other designers feel like idiots because that idea wasn’t theirs.” That one just cracked me up! Loved, Loved! I especially loved the shoot in the face one!! Ha, ha! Cool quotes hope you get lot’s of votes! These are great! You have put a lot of time in presenting them. Your effort was noted and appreciated! Nice roundup of quotes about art, design, and creativity — and I like how the quotes have been designed, too, not just repeated in text. 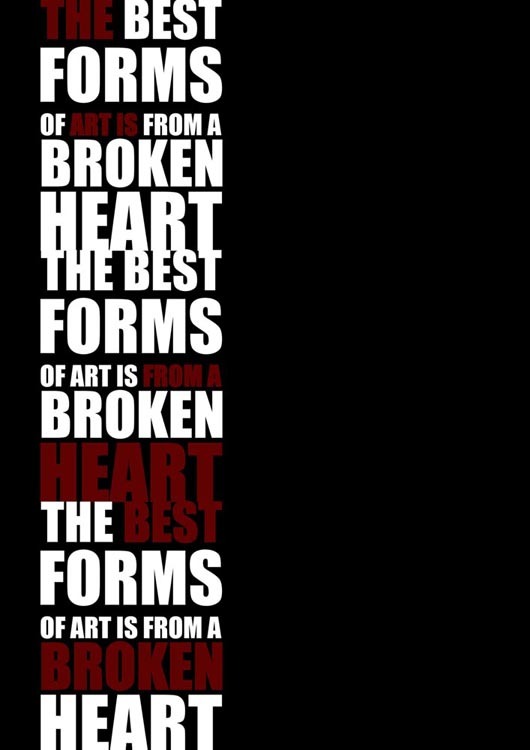 The one from Da Vinci really hits home for me — I really like the thought behind that one. Thanks for collecting all of these! Nice compilation here. I love most of the designs, and not to mention, also the quotes. My favorite is the one that says : “Design is intelligence made visible”. Thanks for sharing! These are great! I have another one for you: Do what you believe, otherwise you end up believeing in what you do. Cool design quotes!! Esp the one on creativity. Beautiful. I wish wish wish I could design images like these. one – The Difference between Art and Design. The look for your blog is a little bit off in Epiphany. Even So I like your site. I might have to install a normal browser just to enjoy it.